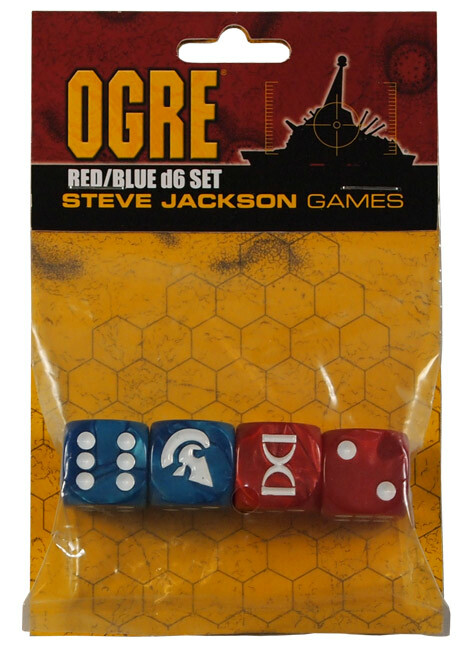 Two red and two blue 19mm dice. 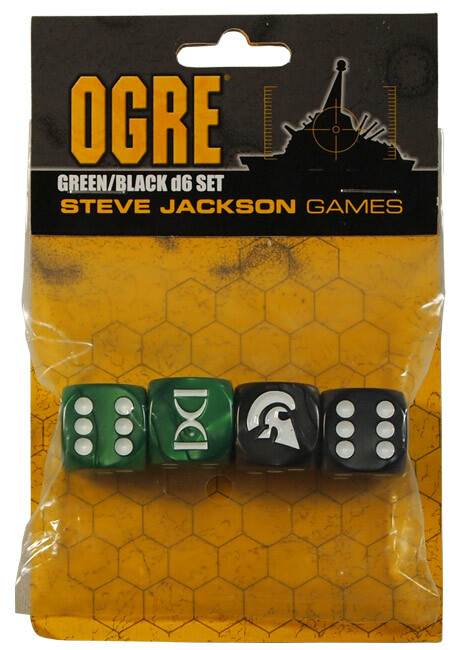 Two black and two green 19mm dice. 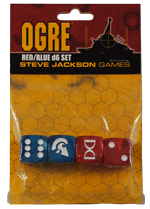 Four premium 19mm acrylic dice with beautiful swirled colors and debossed faction symbols – the same kind included in Ogre Designer's Edition. 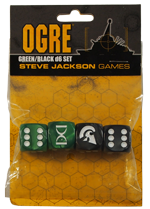 These enable faster, bigger and better Ogre battles, by allowing you to roll multiple attacks at once!